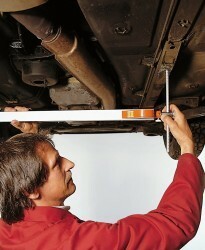 The Nedo Auto-mEssfix will save you time when checking and remeasuring deformed or restraightened car bodies. Simply pull out the extending sections of the Nedo Auto-mEssfix and read off the distance between two measurement points from the analogue display. Milled screws permit the extending sections to be locked in place, preventing them from being accidentally displaced. Measurements in almost inaccessible places can be taken with the aid of spikes which are supplied as a standard. Distances between two points lying in different planes are rapidly and easily determined. Also included are measuring cones, which allow for measurements of intervals between holes. 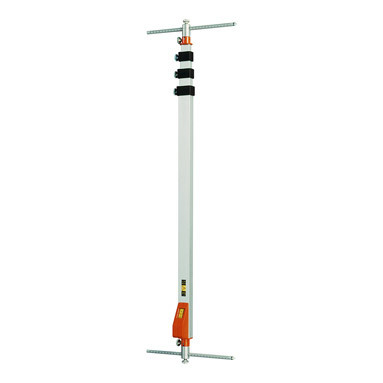 Like all Nedo products, the Auto-mEssfix is exceptionally reliable, sturdy and durable.